Happy hour is the time to relax, enjoy yourself, and shake off the stresses of the day. It can also be a time to have fun and try new drinks. Instead of sticking with your usual beer or wine, experiment with one of the delicious cocktail options below. The Old Fashioned includes whisky, a splash of bitters, a twist of orange, and a teaspoon of sugar. It's sweet and rich and just slightly old fashioned. 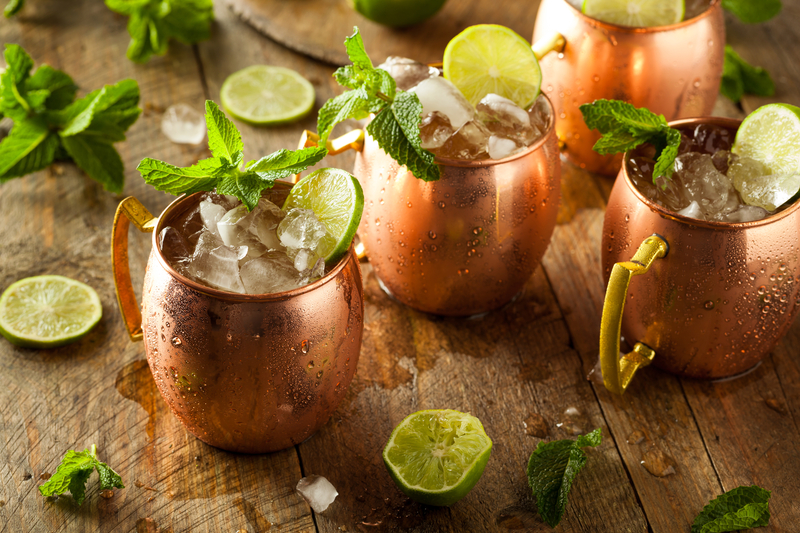 The Moscow Mule is crisp, refreshing, and the ideal cocktail for a hot and muggy day. It's a bright mix of vodka, ginger beer, and lime juice, and will make your mouth pucker with delight. The Sidecar, a mixture of brandy, lemon juice, and orange liqueur, dates back to the Roaring Twenties. Get it served in a martini glass and not a tumbler—the stem keep it from warming up too quickly. Speaking of martini glasses, this classic cocktail should be made with chilled gin or vodka, just a splash of vermouth, and an olive. Contrary to popular belief, it should be stirred, not shaken. Shaking it will "bruise," or aerate, the gin and give it a sharper bite. The daiquiri is a traditional island drink, featuring rum, lime juice, and simple syrup. It's shaken with ice, strained into a glass, and served with a thin slice of lime. To try some new drink flavors, stop in for cocktail hour at Ruby Tuesday Hawaii in Honolulu. They also offer a variety of beers and wines, and are open for breakfast, lunch, and dinner. Plus, they’re known for their support of the Hawaii community—each location prepares 500 Thanksgiving meals for needy residents every year. Visit their website to view their menu, and call (808) 422-8585 to make a reservation.